For many applications, the speed of digital communication is important. Most visibly, “speed” is about transferring large files as quickly as possible, or carrying enough data for an HD video. For USB audio (and for HDMI audio), “speed” is critical not because of how-much how-fast, but because time relationships within a digital stream are critical to the reconstruction of the analog wave form that brings information, music and joy to our ears. Time-based damage (jitter) to this information within the data package makes the sound small and flat instead of 3D, harsh and foggy instead of smooth and clear. SOLID 5% SILVER CONDUCTORS: Solid conductors eliminate strand-interaction distortion and reduce jitter. Solid silver-plated conductors are excellent for very high-frequency applications, like HDMI audio and video. These signals, being such a high frequency, travel almost exclusively on the surface of the conductor. As the surface is made of high-purity silver, the performance is very close to that of a solid silver cable, but priced much closer to solid copper cable. 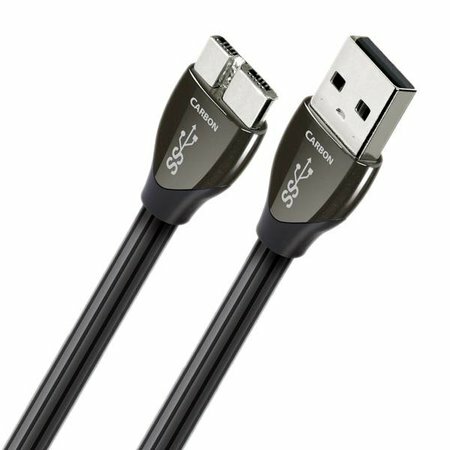 This is an incredibly cost effective way of manufacturing very high-quality HDMI cables. HARD-CELL FOAM INSULATION: Hard-Cell Foam insulation is used exclusively in most of AudioQuest’s video and digital audio cables. Similar to Foamed-PE, it is nitrogen injected to create air pockets. ‘Hard’ foam is used because the stiffness of the material allows the conductors in the cable to maintain the same relationship with each other along the full length of the cable, thus ensuring that the characteristic impedance of the cable is consistent. CARBON-BASED 3-LAYER NOISE-DISSIPATION SYSTEM (NDS): 100% shield coverage is easy. Preventing captured RF Interference from modulating the equipment’s ground reference requires AQ’s Noise-Dissipation System. Metal and Carbon-Loaded synthetics prevent most RFI from reaching the equipment’s ground plane. TERMINATIONS: Precision direct-silver plated pins are carefully attached with the very best solder. Through choice of flux and metallurgy, AQ solder has been optimized to make a low-distortion connection. The difference you hear between solders is a result of connection quality. AQ Solder does not have a high silver content because the more silver there is in solder, the more difficult it is to make a good connection. SUPERSPEED USB 3.0: Specifies data-transfer rates up to 4.8Gbps vs. Hi-Speed USB 2.0’s maximum signaling rate of 480Mbps.